looking and dull eyes into clear and lively eyes. Droopy eyelid + covered pupil (ptosis) is the reason. 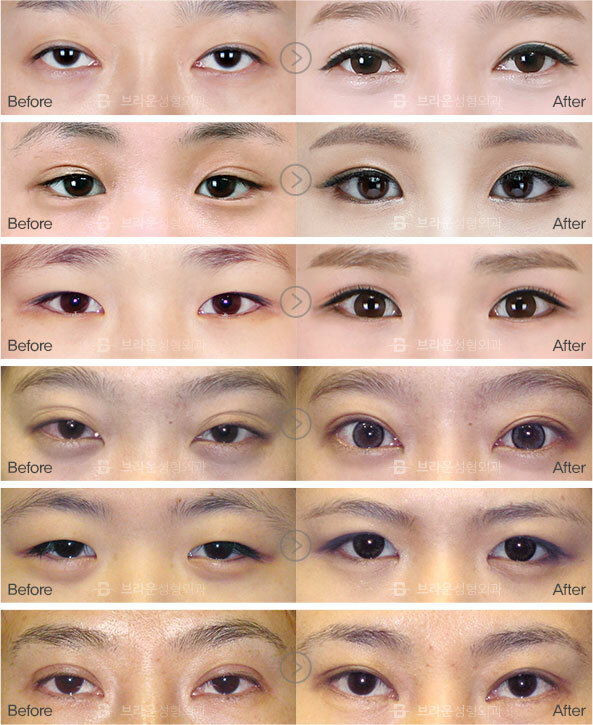 What is ptosis correction surgery ? Ptosis is acquired or congenital, occuring when the musculuslevatorpalpebraesuperioris lifting force is weak causing the eyelid to get droopy. 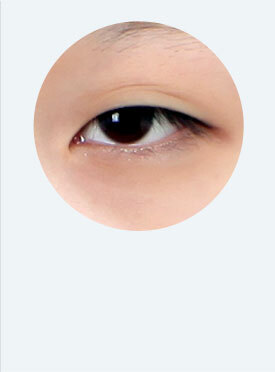 The eyelids cover the pupilsso it functionally interferes with the vision and gives a tired and sleepy impressionaesthetically. 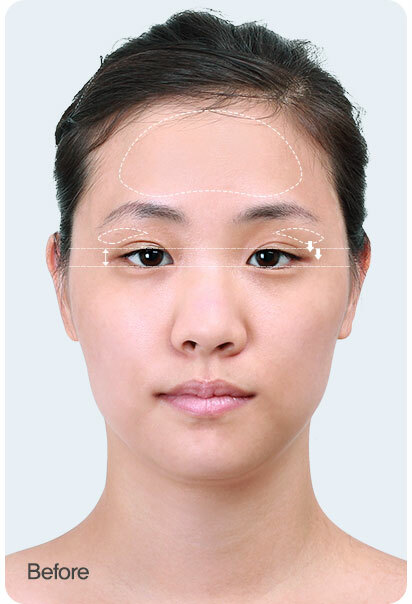 In severe cases, the forehead muscle is used to open eyes which causes wrinkles and because the eyelid covers the pupils, it can cause weakening of eyesight. Thus, it is recommended to correct ptosis. 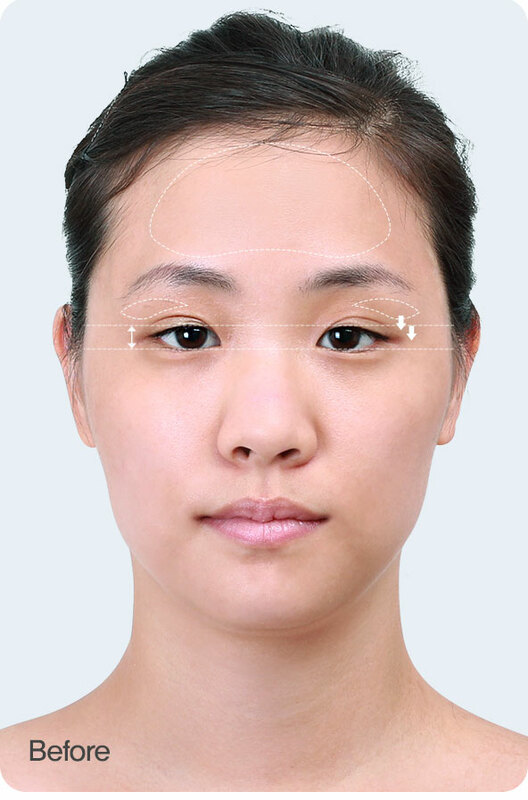 In Braun Plastic Surgery Clinic, the tension of the muscles used to open the eyes is adjusted and strengthened, and the droopy eyelids are pulled up to complete clear eyes. If the eyelids cover the pupil, the field of view may be narrow, which may interfere with the development of sight. Especially if your eyesight is poor and you have astigmatism or amblyopia, you need to correct ptosis. When you have ptosis, the development of the upper eyelid muscles is weak, so you use eyebrow/forehead muscles when you open and close your eyes. In this case, the elasticity of the muscles gradually decreases, causing wrinkles onthe forehead. If muscular strength in both eyes is different due to ptosis, it can cause asymmetric eyes. Especially if you tend to prefer and use one side of the muscle, it may be worse if ptosis is not treated. Over time, the elasticity may decrease and the eyelid drooping and wrinkles may get worse. It does not pull the eyelids, so the lines could be unnatural and it reduces the exposure of the pupils, making eyeslook smaller and dull. 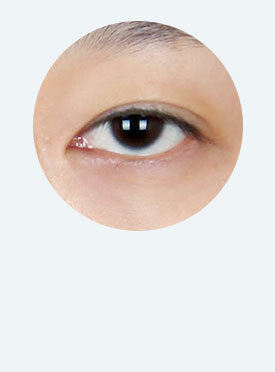 There is a risk that the double eyelids will loosen if the muscles are not corrected. By lifting up the muscle itself, the exposure amount of the pupil is increased to complete clear eyes. 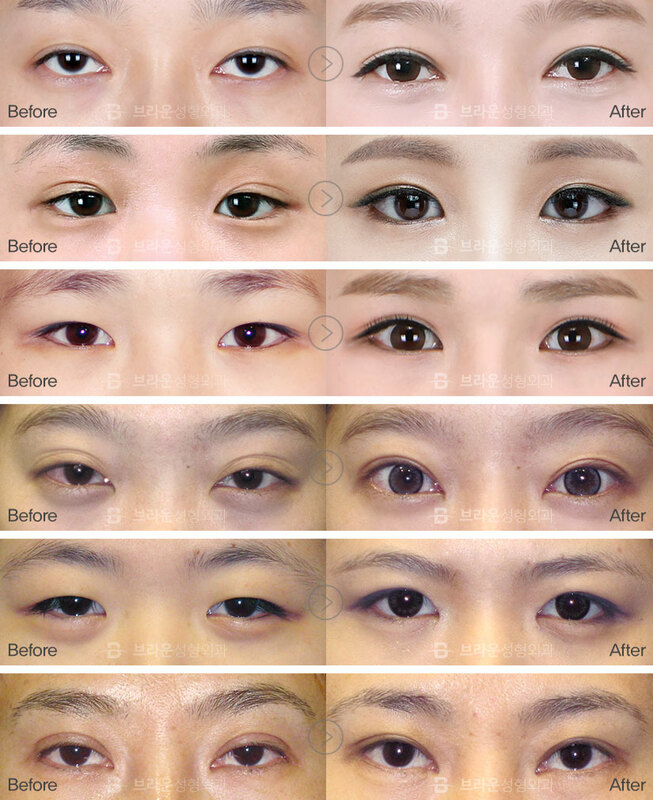 Theclear, natural double eyelid linesare created without worrying about loosening. Ptosis correction in which the muscles that open your eyes are adjusted, so delicate and fine surgery is performed with abundant know-how. 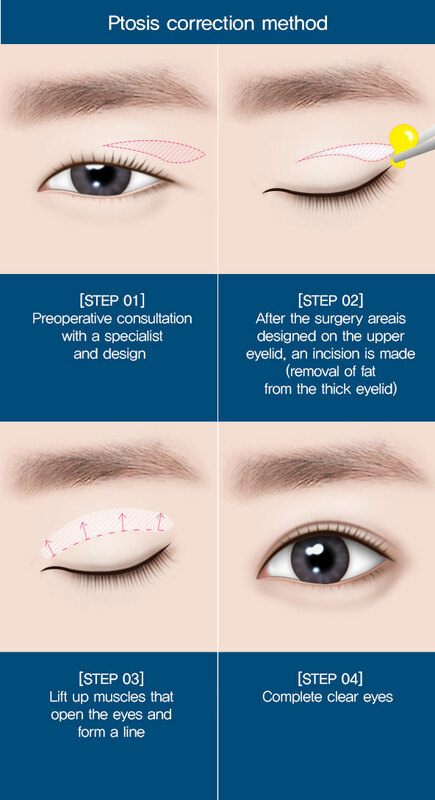 By correcting the ptosis, not only the sagging of the eyelid but also the secondary discomfort such as facial wrinkles, visual disturbance and eyelash irritation are eliminated. Ptosis has high recurrence rate. So it not just lifts eyelids, butthe levator palpebrae superioris muscle, the root cause of eyelid drooping, is corrected as well. So there is no recurrence. Forehead wrinkle improvement! 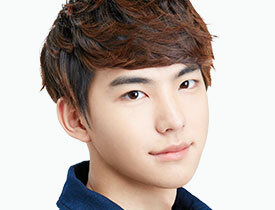 The baby face effect can be obtained naturally with resilient eyelids and young looking eyes. Experienced blepharoplasty specialist performs the surgery so the recovery is fast and there is no swelling. 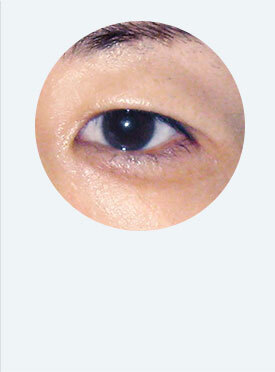 Even if you did not get much of an effect from previous surgery, you can get big and clear eyes. Braun's aesthetic and technical skills make your sleepy looking and dull eyes into clear and lively eyes.